In 2000, the year after Putin took power, the birth rate started to rise again, having reached the very low rate of 8.3 per thousand in 1999. From then on, the birth rate has not ceased to increase. 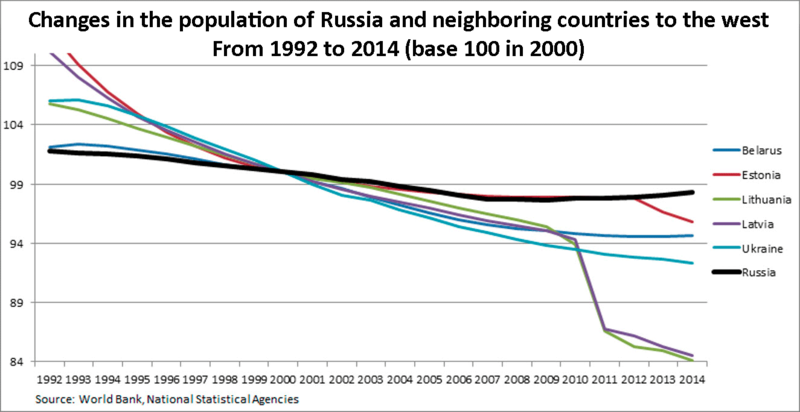 By 2005, the demographic situation in Russia had started to improve. After five years of the new governance, an increase in the standard of living became noticeable. The return of the State authority within the society allowed public institutions to work better, especially in the medical field that had been hit hard during the 90s, leading to a stabilization of the gross number of deaths. All of this contributed to bringing back confidence among households and Russian families. It was also in 2005 that demographic state measures became effective, aimed at supporting families financially, mainly through a financial assistance calledmaternal Capital (Matkapital) , which families would benefit from three years after the birth of the second child, that is to say by 2008. In 2008, the financial crisis broke out globally, but had no effect on the Russian population, because it was the year when parents started to receive the maternal Capital. 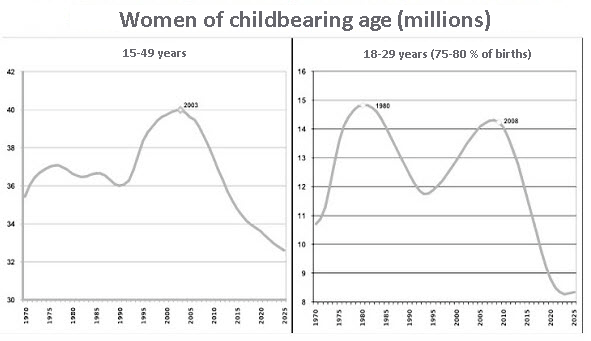 Moreover, during that time, the population of women aged 18-29 years reached its historical peak, generating three-quarters of the births. From then on, the gross birth rate has continued to increase, while the mortality started to sharply decline. 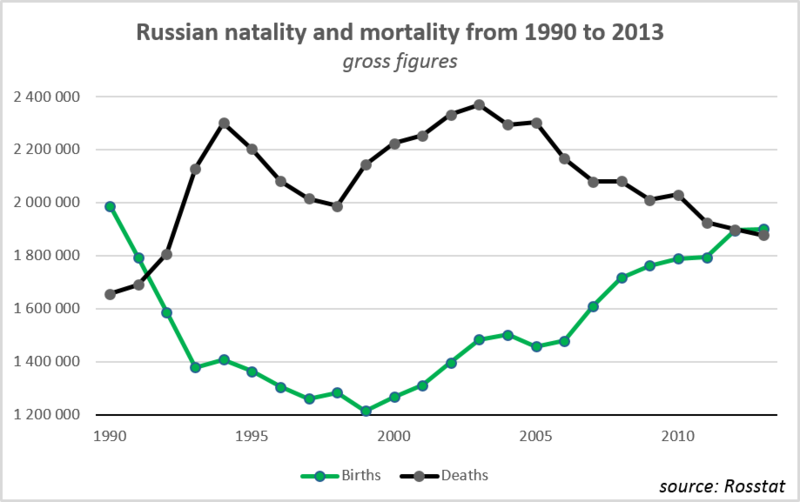 The world economic crisis did not thereby impede the continuous rise of Russian birth rate, confirming that the sustained positive trend was intrinsic to the country. 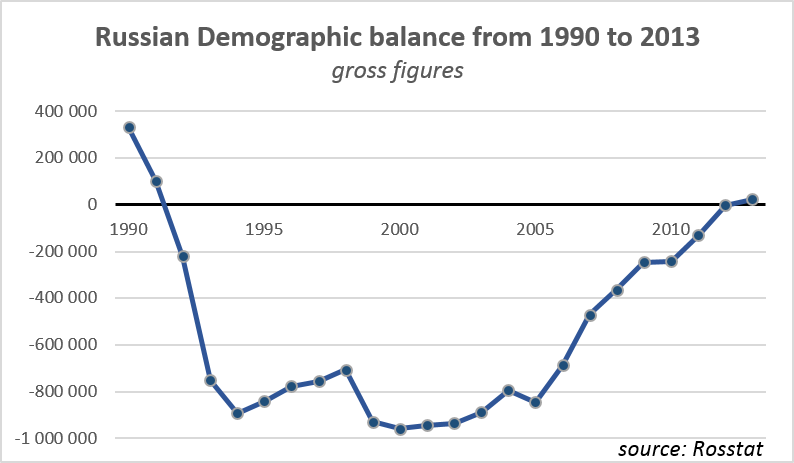 In 2012, for the first time since 1991, the annual demographic balance was nul, symbolic of a stable population. And in 2013, it is slightly positive, up to 23,000 people. 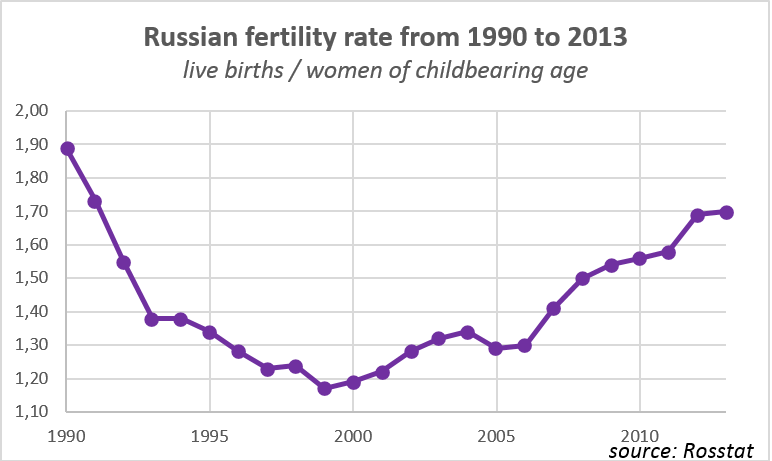 Having bottomed at less than 1.2 in the late 90s, the Russian fertility rate rose up to 1.7 in 2012, which remains low, but is still higher than the EU average (1.6), approximately the same level as those of Denmark or Holland. Saying that the Russian rate is “one of the lowest in the world”, as Masha Gessen puts it in her article, is a fantasy. This dubious distinction is, alas!, reserved  to countries like Singapore (0.8), Taiwan (1.1), South Korea, Bosnia, Ukraine, Poland and Slovenia (1, 3) or Germany (1.4). Since the beginning of the year 2014 , this positive trend has continued and even improved. Hence, during the first seven months of 2014, Russian women have procreated 18,729 children more than during the same period in 2013: a total of 1.12 million births against 1.10 million a year earlier, an increase of 1.7%. At the same time the country has recorded 8,890 fewer deaths, 1.2 million against 1.13 million in 2013, down by 0.8%. The demographic balance has therefore improved by 27 619 in seven months. The year 2014 should see a natural increase in population of about 40,000 people. What population in Russia by 2030? 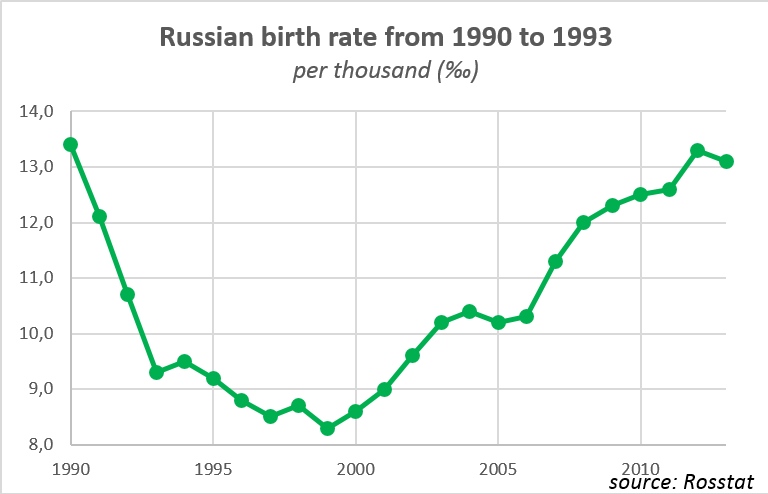 Of course, the Russian demographic crisis is not done: the low rate of births during the years 1995-2005 will inevitably show up when these age groups will be in the reproductive age. Since an average Russian woman has her first child at the age of 30, we can expect a decline in the birth rate between 2025 and 2035. This logical decline in births over the next ten years should however come along with a decrease in mortality, with life expectancy increasing significantly (from 64 years at birth in 2003 to 71 in 2013). From this fact, the population should stabilize and age naturally. For Russia, the solution comes therefore from immigration: it is the key to the country’s economic development, hence to its survival. Over the past decade, immigration has remained at a low level, between 250,000 and 300,000 new residents per year. According to the most alarmist Russian specialists, in order to successfully address the looming shortage of labor, it should rise to 600,000 per year for the next twenty years . 150 million Russians in 2030? 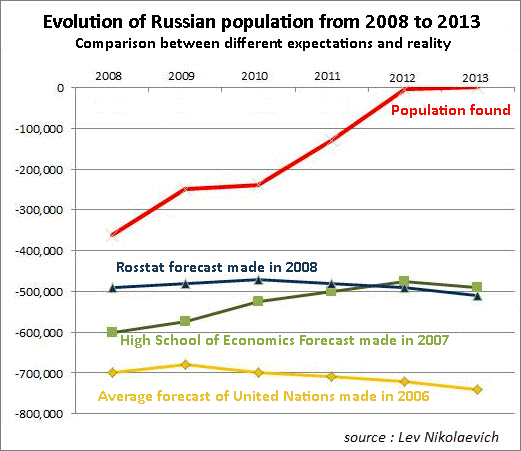 During the last ten years, forecasters, including those of the Russian Institute of Statistics, Rosstat, have been pessimistic regarding the evolution of the Russian population. For instance, between 2006 and 2008, three agencies made predictions: Rosstat, HSE and the United Nations. The two most optimistic, Rosstat and HSE, forecasted a deficit of 500,000 for 2013. The most pessimistic, the United Nations, went up to -750,000. In the end, the balance turned out to be zero. Another example of this pervasive pessimism: in the midterm forecast published by Rosstat in 2011 (based on 2010 results), the pessimistic scenario was 128 million in 2030 and the optimistic one 150 million. To achieve the optimistic scenario, the Russian population should reach 143 million by the beginning of 2015. Yet, today, in 2014, we can see that the threshold of 143 million was reached in January 2012, three years ahead of schedule. To conclude this brief overview of the Russian population, it’s interesting to compare it with that of its immediate neighbors to the west, former members of the Soviet bloc: Belarus, Estonia, Latvia, Lithuania and Ukraine. We see that Russia catches up, while others continue to dive, especially Latvia and Lithuania. The words and writings of Western pundits (the experts who saturate mainstream media) constantly feature the idea of a Russian demographic catastrophe that would illustrate the failure of the Kremlin’s politics. 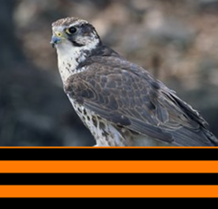 It has become an obsession, which completely denies what has happened since 1999, when Putin came to power. The media took their first significant shot in the summer of 2011, broadcasting on repeat that “a fifth of Russians would emigrate from Russia (…),” that, “according to official figures from 2008 to 2011, about 1.2 million people have left Russia (…),” and that “these figures were hurting the patriotic slogans and ambitious projects of the Kremlin.” But the allegations were so outrageous, these claims being based on false figures , that the media attack resulted in a failure. Three years later, Masha Gessen dug out a hackneyed myth, that of a dying Russian people, to further mislead an already misinformed Western audience. The journalist activist declared that Russia suffered from both the low birth rates of the West and the high mortality rate of Africa. Yet, by examining the numbers, as we have just done, we can see the spectacular renewal of Russian demographics since the early 2000s, which goes against the claims of Masha Gessen and the vast majority of Western demographic specialists. It is difficult not to make the connection between this demographic rebound and the measures of financial support taken by President Vladimir Putin to encourage families to have more children. This efficient and voluntary birth policy, supporting the traditional family and natality, has restored in the Russian population the desire, the courage, but also, and mainly, the means to have children. Alexandre Latsa is an analyst and lives in Russia. He holds a highly followed blog, Another Look at Russia.